Johnny Nicholas is a seriously under-recorded artist, partly by his own wishes as he took the 1980’s off from music to raise his family. Since then he has issued occasional albums, all of which are authentic and compelling releases. On Fresh Air Johnny is backed by most of The Resentments, an Austin-based band that used to feature the late Stephen Bruton and the result is a fine blend of roots music with authentic blues, rock and roll and country influences. 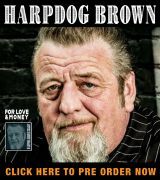 Johnny plays all manner of stringed instruments, piano and harp with Scrappy Jud Newcomb on guitars and mandolin, Bruce Hughes on bass, John Chipman on drums and Cindy Cashdollar on lap-steel and other guitars. Guests include Carla Prather on vocals, Red Young, Trevor Nealon and David Boyle on organ, Steve Riley on accordion and David Greeley on fiddle. Johnny wrote all bar two songs here, some in collaboration with Jud, Bruce and Gary Nicholson. Opener “Moonlight Train” is a sparse acoustic blues with Johnny’s buzzing harp and plaintive vocals and is immediately followed by a brilliant cover of Sleepy John Estes’ “Kid Man Blues” (AKA “Leaving Trunk”), Jud’s mandolin providing the rhythm and some great lap-steel playing from Cindy. “Blues Time” has a similar laid-back groove with Johnny’s vocal suiting that mood before the album style is disrupted by some lively rock and roll in “Red Light” with rocking piano setting the pace and the lap-steel adding a country feel. The down beat “Sweet Katrina” recounts the tale of a small-town girl who collects men like shoes, Johnny forced to take his leave to ramble the country, the song reminding this reviewer of some of Dylan’s bluesier efforts. “Bayou Blues” is a rolling blues with amusing lyrics as Johnny meets a dangerous girl at the dance, the song revealing secrets such as her hidden tattoo and cooking skills (“the meat is fresh, I shot it this morning”) the accordion adding a Louisiana feel. Also down south but in acoustic mode “Roll On Mississippi” provides a gentle acoustic interlude before Johnny’s cover of Willie Dixon’s “Backdoor Man”. Johnny met Howling Wolf in 1966 and that cemented his love of the blues so this is something of a tribute but Johnny’s take on the classic song is stripped back with sparse drums, mandolin and slide behind Johnny’s superb vocals. In another switch of style Johnny plays the balladeer on “How Do You Follow A Broken Heart”, a late-night lounge piece with lap-steel accents. The two songs co-written with Nashville songsmith Gary Nicholson are both excellent: in the melodic “Play Me Like You Play Your Guitar” Johnny seems to have found the ideal lover: “Take me in your arms and hold me like you hold your guitar; play me fast, play me slow, play me like you ain’t never played before”. There is an appropriate feast of guitars with wah-wah and electric guitars gently competing throughout. Lyrically “Wake Up Bobby” is in the same area but is more of a country tune, the sort of song that Gary has written in the past for artists like Delbert McClinton. The album closes with two contrasting tunes which have similar lyrical interests. “Workin’ In The Garden” is upbeat with plenty of electric guitar as Johnny extols the simple life of planting in the garden, perhaps a metaphor for getting back to basics, and the title track “Fresh Air” certainly makes clear that we all need spiritual refreshment from time to time, that plea framed in a gentle acoustic setting. 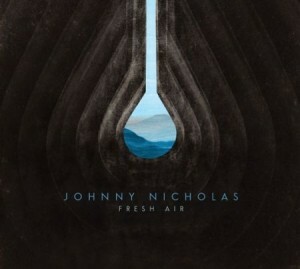 Fresh Air is an excellent album with fine musicianship framing Johnny’s interesting and literate songs. 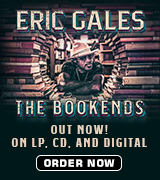 The album takes in blues, country and Americana and is well worth your attention.